Have a question for Turtle on the Beach Hotel? 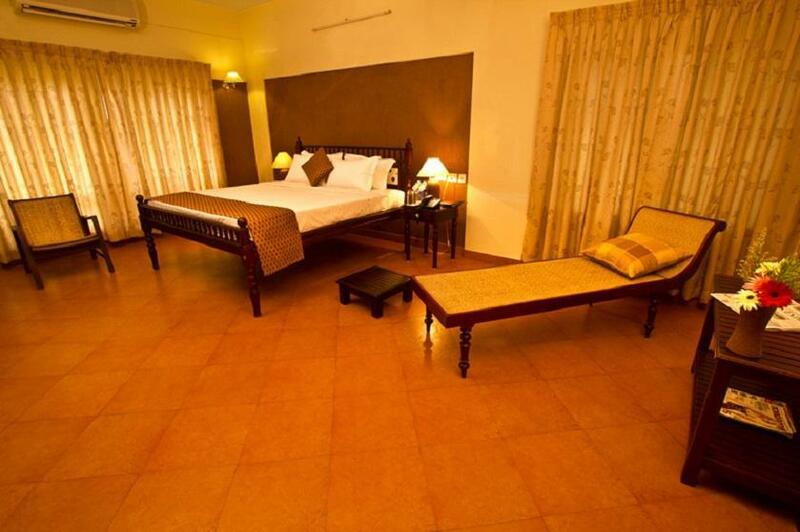 "I spend 8 nights with my family in the turtle on the beach in kovalam and we really had a wonderful stay." "We had a wonderful stay for four days at the hotel." "Staff was courteous, polite and extremely helpful." 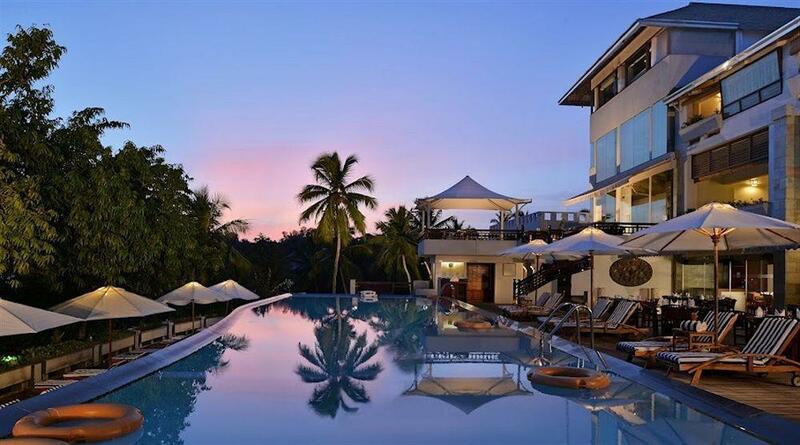 "The hotel is nicely situated on a top of a small hill with n..."
Nestled in the heart of Hawa Beach, Turtle on the Beach Hotel is an ideal spot from which to discover Kovalam / Poovar. Situated only 10 km from the city center, guests are well located to enjoy the town's attractions and activities. 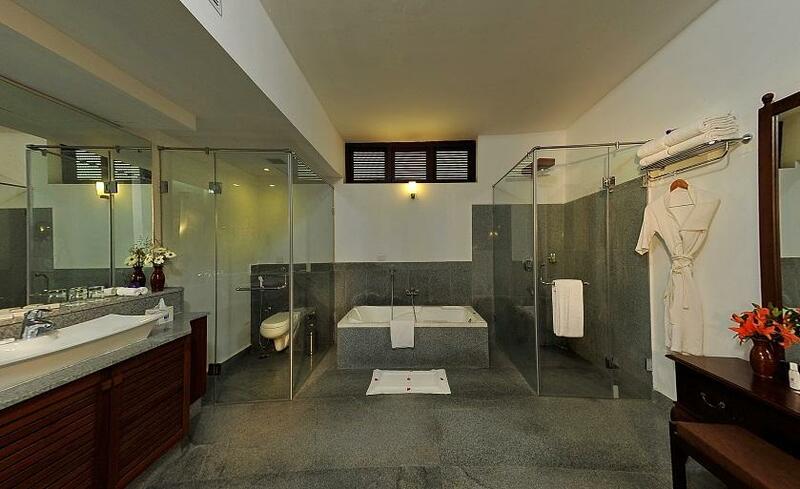 This modern hotel is in the vicinity of popular city attractions such as Upasana Hospital, Hawa Beach, Lighthouse Beach. 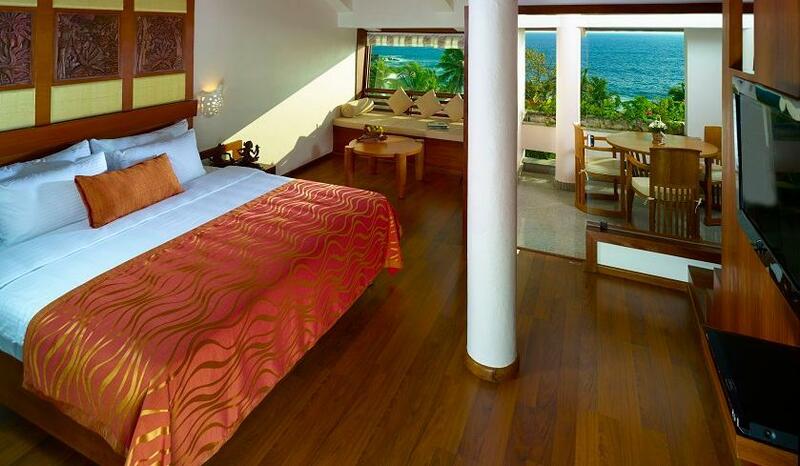 At Turtle on the Beach Hotel, the excellent service and superior facilities make for an unforgettable stay. To name a few of the hotel's facilities, there are 24-hour room service, 24-hour front desk, facilities for disabled guests, luggage storage, Wi-Fi in public areas. Step into one of 44 inviting rooms and escape the stresses of the day with a wide range of amenities such as television LCD/plasma screen, internet access – wireless, non smoking rooms, air conditioning, wake-up service which can be found in some rooms. The hotel offers wonderful recreational facilities such as hot tub, fitness center, sauna, outdoor pool, spa to make your stay truly unforgettable. 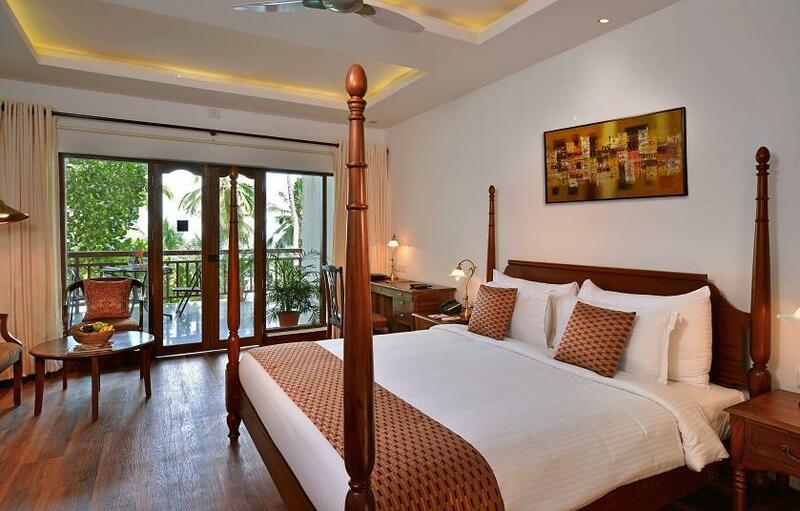 When you are looking for comfortable and convenient accommodations in Kovalam / Poovar, make Turtle on the Beach Hotel your home away from home. 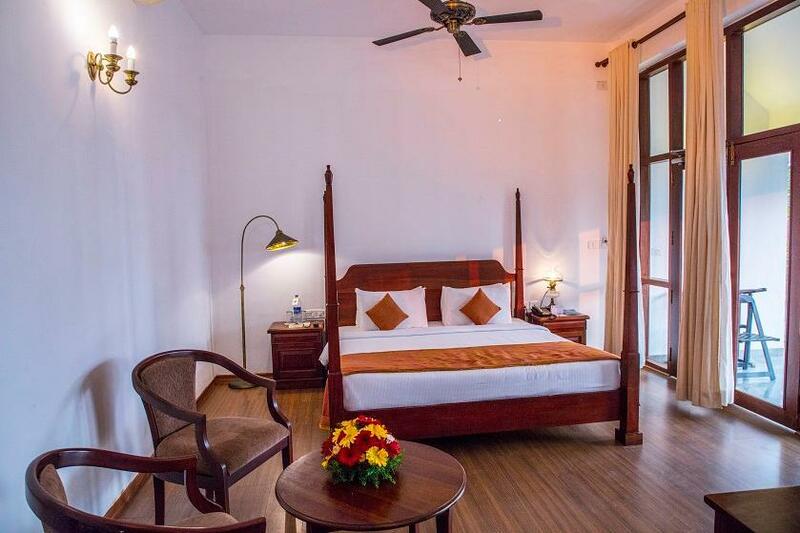 "Pros - Great staff.very very good People trying their best t..."
We wanted to live there for 2 days but ended up leaving the hotel in a days time as they had no availability of rooms :) We ended up living in Leela Kovalam for a day which turns up a better deal for us! It was a good stay minus some minor cleanliness issues that was rectified by the staffs. Yes we would go there again as we found that the female staffs were extremely helpful and i was very impressed with the empowerment of women in terms of promotion. Kudos to the company for recognising women who are ambitious and hardworking and promote them accordingly. This hotel is not on the beach. You either have to get a car down a steep hill and back or walk it, which takes about ten minutes. The hotel is quite dated,apart from the front exterior. Despite booking a suite we had problems with the air conditioning and fridge not working and this was only sorted out after a couple of days of asking. This is the worse hotel we have stayed at in India, yet the most expensive. The hotel was generally excellent, rooms great, clean and well looked after. Restaurant and cafe both lovely with good selection of meals for all occasions. Note that alcohol is not served. All staff were welcoming, friendly and very helpful, and made the stay relaxing. The pool area is great, and enjoyable. Nothing to do with the hotel but we didn’t enjoy the surrounding Kovalam area, finding the beach and frontage scrappy and a bit rundown. Great resort. The pool area was wonderful. The food was good. The rooms big enough. The cocktail was great. The ladies in the front desk were helpful and smiley The things that need that need to be improved are the cleanliness in the rooms, the maintenance and upkeep of the room and the attitude and capacity building of the restaurant staff. The waiter at the coffee shop did not understand anything and messed up all our orders. Their shake machine was not working so milkshakes were like watery milk. Their coffee day coffee machine was not working so I could not have freshly brewed coffee. These are things that should be repaired and maintained immediately, especially for a resort like this that charges so much money. Actually I has stay in hotel for couple hourse but i like it but I has notice the cost of Resturent minbar and transportation was very high compring to same or higher sanders hotel . I was not use any facilities of hotel but it seem very nice . Great stay, rooms are clean and state of the art BUT there are 3 rooms categorized as "sea view" that are actually next to the pool/ restaurant with No privacy at all- except for those 3 rooms, excellent hotel. fantastic hotel. not far from the airport. reception wasnt great but more than made up for it with the stunning room and sea view. restaurant was great and breakfast was a delight every morning during our stay. the staff were very helpful through out and always on hand for any assistance. room service was efficient, but could do with knocking on the door and respecting some privacy when the do not disturb sign was on. on the whole though a great place to stay. We had a wonderful stay for four days at the hotel. Staff was courteous, polite and extremely helpful. We were upgraded to a superior room with a beautiful balcony. However, as the property is spread over a huge plot of land overlooking the sea, the annexe building is pretty secluded. Stayed at the hotel for 10 nights and had a most excellent stay. 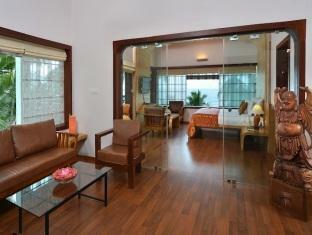 We had a suite (room 902) with a ocean view, the room was very clean and maintained well on a daily basis. The hotel is a five minute walk from the hotel and for those who do not like walking a free shuttle is available from the hotel. Breakfast had a varied choice and great service from the staff. I would recommend eating in the Catamaran Restaurant as the food is very delicious and one again the service from staff was excellent. My wife and I had a wonderful stay and would certainly consider a return in the future. This is not a five star hotel, may be 3 star. I had got the room adjacent to the main building. The pool was awesome. Breakfast spread was really good. You can order for omelette or dosa and it will be served from their live counter. The beach is just 5 minutes walk. Overall recommended to stay. 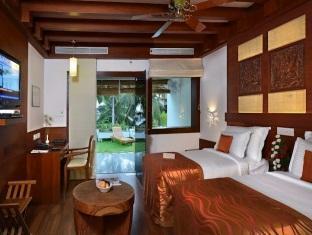 I spend 8 nights with my family in the turtle on the beach in kovalam and we really had a wonderful stay. Thanks to all the staff. Especially thanks to RK and Neha at the reception for they were always very helpful. Thanks to Rejin and to al the breakfast team for the wonderful breakfast and there kindness and a special thanks to Aldrin who kept our room always very clean. Disappointing things 1) Annex Standard Room not up to the mark and in different building which is almost at the end of hotel premises and seems abandon 2) Don't book a room if photos of room not given 3) Too much mosquitos in the room 4) Too many sockets for devices but very few working properly 5) They not provided Ketaly and other items for hot water/tee/coffee until I asked 6) Internet wifi not working propely 7) swimming pool also not good...two much insect inside water 8) connecting path of main building and annex building not very good. Good Things 1) Friendly staff 2) Good Resturent food 3) Good Location Final Suggestion: Not value of money of my stay. May be main building rooms will be good which is near the reception/Pool. The big problem with this hotel is that it isn’t a 5 Star hotel but markets itself as one. The staff are very poorly trained and the facilities are lacking in every way. You can’t even have a beer inside the restaurant because a family may see you drink. The gym is a joke. We booked a twin room and they didn’t have one for us. The staff have no idea how to make a decent coffee. However, we noticed they try so hard to get things right, they just haven’t been taught how things should be done. It is clear after our stay the real problem in this hotel is with the management not providing the necessary training and when that happens they might live up to part of their 5 star rating. A new gym needs to be erected and a direct access to the beach. They also need to get rid of some of the old furniture and rubbish which is dumped at the back of the hotel. We went out all day and all night so we didn’t have to eat or drink here as the service and standards were frustrating. Location is good. Great room not too far from light house beach. slight hill to walk to beach . however we had to wait 5 hours outside n hot sun for room to be ready as we artived at 10am. breakfast options are ok.
Everything was more than OK for us. All our expectations were more than fulfilled. However you need to be aware when booking this hotel that this hotel is not directly at the beach even if the name of the hotel kind of indicates this. It's about 500m to the beach (shuttle bus available). Remember this when booking so you are not disappointed later... We would recommend this hotel for leisure. 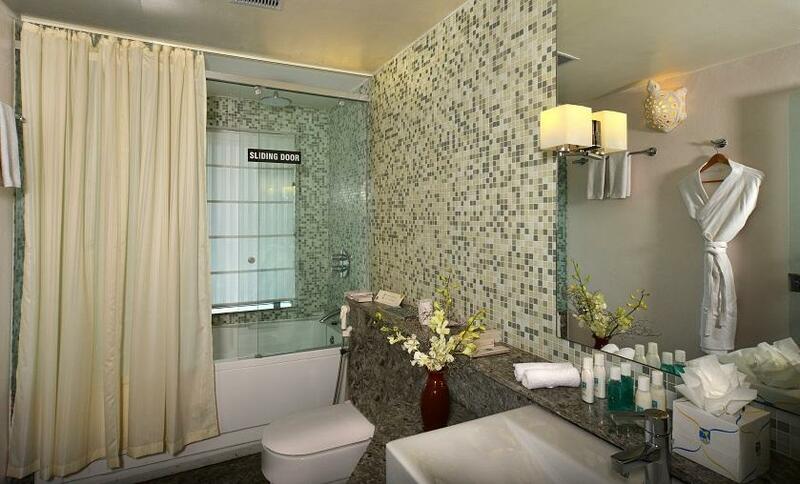 The hotel has the nominal facilities to carry 5 stars. However, maintenance and value for money is not there. I paid 12K Rupees, the value I got is not even half. Just a few points: - arriving 4 am in the morning, room AC is not working - breakfast until 10:30 - they do not refill from 10 onwards - a minor one: coffee from a machine is extra cost - foreign hair on the bed and in the bath - no bathrobe and slippers (needed to request specially) - next day room change (in the night) thought everything fine, great room!!!! - again, AC not working in the bedroom - bathroom not very clean - carpet seems not to be vacumed - room seems not to be checked before occupation: opening bath tubs brought brown water first (just means, no one does that before the guest arrives) The staff in general tries to help but it seems it is a handling issue from the top! Do not want to be a hotel critics but value for money is different!! Beautifully kept hotel on the hill up from Kovalum beach. Great to be in a peaceful spot where you could still hear and see the sea. Shuttle taxis and tut tut up and down the hill to the lively beach and shops. Perfect location. The kids favourite hotel in India.